In high school, Buffett was attracted to sports betting on race horses. He would drag whichever adult who would be willing to take him to the track. At first, he would pick up all the discarded betting tickets from the ground and look through them for winners (for example, some bettors didn't know that there was a payout for 2nd or 3rd place, and sometimes races would be disputed, unbeknownst to the bettor). Eventually, he began to use data to calculate his own odds of which horses would win. He would compare them to the odds offered by the bookies, and bet through the adult he had dragged to the track with him. One time, Buffett lost his bet on the first race, and bet on every subsequent race trying to recoup his losses. He went home having lost almost $200, a week's earnings on his paper route. At sixteeen, he had learned an important lesson: you don't have to bet on every race. He would not make that mistake again. Because of his mental abilities, Buffett breezed through university without much effort, while his roommates and classmates struggled with long hours of study. Buffett spent a lot of time on various small business ventures, as he had always done. 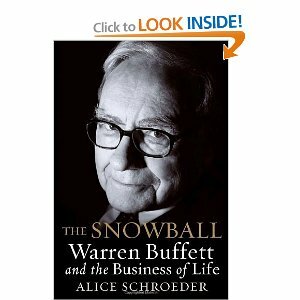 Buffett also appears to have been an avid reader. When interested in a subject, he would take out large numbers of books from the library, and often re-read some of his favourites. One topic on which he often read was the stock market. Eventually, he came across Graham's Intelligent Investor, and found out that Graham was teaching at Columbia's business school. The school accepted Buffett's late application, and new world of security analysis was opened to him. It was during this time that Buffett attended his first annual meeting, where Buffett witnessed a defensive management team forced to field questions from Walter Schloss. Buffett liked Schloss' questions and perspective so much that he introduced himself following the meeting. It was also during this period that Buffett came to know GEICO. After spending the day at the company learning about how it works, he invested 75% of his net worth in the company, something his teacher, Graham, would have never approved. Needless to say, the investment worked out very well.